21st Century learning, unleashed potential. Digicape make learning fun with a full range of the latest interactive Apple products, software, apps and accessories created to inspire greatness in everyone. 21st Century learning to bring out the expert in you. 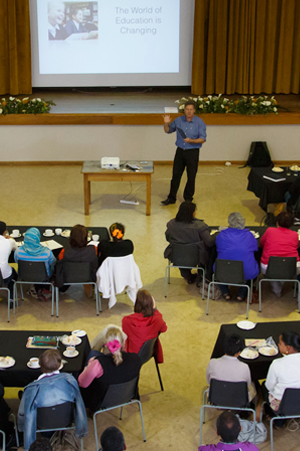 "The ‘ohs and ahs’ at the show and tell before we all left was proof of the commitment of the learners, principals and educators who engaged and collaborated enthusiastically. All agreed that (animation) can be used effectively as a tool across curriculum. Thanks to Digicape for the support and expertise." The best way to help students learn is on their own Mac, iPad, or iPod touch. Educators are transforming the learning experience by giving students anytime access to educational content on personal devices. Digicape make it possible by providing the right products, training and support. In the home, at school or on the move, Digicape is the technology partner of choice for schools and tertiary institutions throughout South Africa. Apple products provide a multi-sensory and dynamic learning experience that children young and old want to engage with. We provide you with the latest hardware, technical expertise, networking infrastructure solutions, ongoing support, the widest range of educational software and apps with discounted pricing you can afford supported by flexible finance options that make education far more accessible. From training your technical support team up to certification status, to animation workshops in the classroom and vision planning for the challenges that mobile technology presents the modern teacher, Digicape is well placed to service all of your educational and training needs. We can bring your support staff up to Apple Support Professional status; run Professional Development courses for your leadership team and teachers and host workshops for pupils in the classroom. "After 90 minutes the Khanya staff understood that Apple technology lends itself to a wealth of innovative and creative excitement." Digicape has partnered with over 80 schools nationally, from tiny pilot projects to large Apple 1:1 rollouts, which has seen over 550 Macs and 700 iPads implemented in a single school. 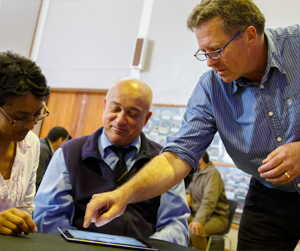 We train teachers in order to help them realise the potential of using technology in the classroom and with institutions, to help them realise their vision for a school where technology supports and enhances teaching and learning . We consult with, train and support IT Departments. We have been an integral partner in the success of one of the largest 1:1 Apple implementations in Africa. Digicape is the official supplier of Apple devices to the University of Cape Town and we've trained the ICTS support team in first line support. We also supply technology to other major universities in the country, including the University of Witwatersrand, Stellenbosch University and the University of the Free State.